Two Nigerian NGOs, Environmental Rights Action (ERA)/Friends of the Earth Nigeria (FoEN) and Center for Environmental Education and Development (CEED)1, visited the affected area to meet with local communities and relevant government officials. They discovered that the lands being given to Dominion Farms are part of a public irrigation scheme that thousands of families depend on for their food needs and livelihoods. The local people were not consulted about the deal with Dominion Farms and, although the company has already started to occupy the lands, they are still completely in the dark about any plans for compensation or resettlement. The local people are united in their opposition to the Dominion Farms project. They want their lands back so that they can continue to produce food for their families and the people of Nigeria. Over the past three years, the Nigerian government’s Federal Ministry of Agriculture and Rural Development and the Federal Ministry of Investment have sought to increase foreign direct investment in agriculture as a strategy to increase national food production. Through this policy, vast tracks of agricultural lands have been identified by the government for large scale projects by foreign companies. This increases the risk of land grabbing, a process where local communities are displaced from their land and lose their ability to grow food and their livelihoods. One of the projects being developed is in Taraba State, on a 38,000 ha parcel of lands that were initially acquired by the state’s Upper Benue River Basin Development Authority (UBRBDA) in 1978. In 2012, the US company Dominion Farms Limited signed a memorandum of understanding (MOU) with the Taraba State government and the Nigerian government for a 30,000 ha concession on the UBRBDA lands for the creation of a large scale rice farm. The MOU was signed without public knowledge and the details of its contents remain unknown to the local community of Gassol and organisations that have been following the deal. The Gassol Community and the UBRBDA lands are located on the North- Eastern shoreline of the Taraba River, where, for a long time, the local people have used the lands for their various daily farming and food production activities on a free-access basis. Along one side of the lands runs an 8 km long embankment that was built by UBRBDA to protect the farmlands from the river’s overflow. The lands provide major ecological and hydrological functions and are a major source of livelihoods for the farmers of Gassol and other neighboring communities. The Gassol farmers occupy a collection of individual farm lands within this area, which they inherited from their ancestors who first settled there. The community has a population of around 40,000 people. In 2010, Dominion Farms made its appearance in Gassol seeking the allocation of lands, water resources, fishing ponds and grazing areas used by the community for the construction of a large scale rice farm. The allocation of these lands to Dominion Farms will clearly undermine the capacity of local farm communities to produce food and earn livelihoods. The project will also affect the pastoralists of the area by disrupting the spaces they use for livestock grazing and pastoralist routes. There is a great risk that these communities will be forced off their lands and will lose their livelihoods without adequate compensation and resettlement to other high quality farmlands. Environmental Rights Action (ERA)/Friends of the Earth Nigeria (FoEN) and Center for Environmental Education and Development (CEED) decided to support the communities affected by the Dominion Farms project by undertaking a fact finding mission to the area to meet with them and the relevant government officials. The field trip occurred between June 8-13, 2014. One of the objectives of the research was to ascertain how the activities of local farmers are endangered by the entrance of the company and how the government is involved in the process. Our main goal, however, was to hear from the farmers of Gassol about what they think of the Dominion Farms project. Consultations with the affected farmers in Gassol community revealed severe irregularities. The farmers interviewed indicated that only the local elites and government agents were consulted, some of whom had personally endorsed the project in their community in spite of apparent widespread opposition amongst the members of the community. It further revealed that consultations did not deal with the question of whether or not the local communities accept the project and under what terms they would do so. Some affected farmers said that promises about adequate compensation for their lands, about the building of schools, roads, hospitals and a farm training centre, and about the employment of local people had been made when Dominion Farms and government agencies initially visited the area, but none of these have been kept. It has been reported that the company is operating in Nigeria through a subsidiary, Dominion Rice & Integrated Farms Limited. Dominion’s activities in Nigeria and Taraba State are relatively new. In 2012, the company began a process to establish a large rice farm project in the Northern Nigerian state of Taraba. The company signed a MOU with the Federal Government of Nigeria represented by the Federal Ministry of Agriculture and Rural Development (FMARD) and the Taraba State Government. The Dominion Farms project in Taraba is part of the co-operation framework agreement of the G8’s New Alliance for Food Security and Nutrition in Africa. Dominion Farms has signed a letter of intent between the Government of Nigeria and the G8 aid donor countries that involves a $40 million investment in “growing and processing rice on 30,000 ha of land”, a 3,000 ha “nucleus farm owned by Dominion”, a rice mill and the training of Nigerian youth at Dominion’s Kenyan operations.3 In spite of the New Alliance rhetoric on tackling food security, on the ground the Dominion Farms investment has resulted in land grabbing, reducing the ability and resilience of local farmers to feed themselves and their communities. Ultimately, it exposes the problems of the G8’s push for corporate-driven agriculture. Historically, Taraba is among the states created from the defunct Gongola state in the North Eastern part of Nigeria. The state was created in 1991 and its capital city is Jalingo. It has an estimated population of 2, 688,995 and a total land area of 54,473km2, making it the Nigerian state with the third largest land area. It is bordered by Plateau State and Benue State on the west and by Cameroon on the east. 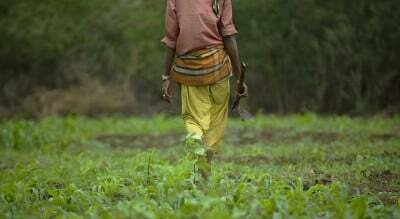 The majority of people in Taraba are engaged in agriculture. They produce cash crops such as coffee, tea, groundnut, beni-seed, cotton, maize, rice, sorghum, millet, cassava and yam, and they fish and rear cattle, sheep and goats in large number. The state currently has 16 local government areas, one of which is Gassol, where the Dominion Farms project is situated. The Dominion Farms project site is located in the community of Gassol, within the Gassol local government area. The lands that the company has acquired are community lands that were ceded to the Upper Benue River Basin Development Authority (UBRBDA), an agency of the Federal Government of Nigeria, in 1978. The 38,000 ha managed by the UBRBDA, stretching along and adjacent to the bank of the Taraba River, are farmed by about 10,000 local farmers every year. Information gathered from the Taraba State Bureau for Land and Survey indicates that up to 45,000 people benefit from the utilisation of these lands. Moreover, there are at least 3,000 holders of land titles within the UBRBDA area. UBRBDA has constructed important facilities and irrigation works to facilitate the use of the lands, including a housing facility for the UBRBDA staff, a water treatment plant, access roads, an 8km protection bank for flood control, a warehouse and store facility, and a guest house. The MoU between the Federal Ministry of Agriculture and Rural Development, the Taraba State Government and Dominion Farms Ltd was signed without proper consultations with the affected communities. Those consultations that did take place involved mainly government officials. The information that local people received about the project was insufficient and was presented in a partial manner in favour of the project. Local farmers were never asked if they agreed to the project or under what terms they would accept the project, and were thus kept out of a decision that has major impacts on their lives. The agreement was also signed without a social and environmental impact assessment. The agreement did not include a resettlement plan for the affected farmers. Pledges that were made during the process of allocating lands to Dominion Farms to improve the livelihood of the local farmers of Gassol have so far not transpired. No roads have been constructed, no hospitals, training centres or schools have been built, and locals have not been hired by the company. Families who have been farming and living for generations on the lands acquired by Dominion Farms are upset and disillusioned. They say the project will breach their right to adequate food and livelihoods, and their right to access the lands. They consider it a forced eviction without proper consultation and compensation. Several farmers said that Dominion Farms is putting undue pressure on them to leave the plots of land that they have been farming. Although Dominion Farms has not commenced significant production on the lands it was allotted, the company has filled in ponds and water canals that local people depend on for fishing and has stationed security agents in the area to prevent farmers from accessing their lands. People have also been forced to stop grazing their goats and cows on the lands occupied by Dominion Farms. This is having a major impact on peoples’ livelihoods. The local population is also concerned that Dominion Farms is not providing the service and technical support to farmers that was formerly provided by UBRBDA and they worry that the facilities will erode if they are not properly maintained. They have complained to the authorities, but, as of yet, no action has been taken by either local, state or federal authorities. On June 9, 2014, researchers from ERA and CEED met with Mr. Abdulahi, the Area Manager of the Upper Benue River Basin branch Office in Jalingo. He confirmed that the UBRBDA is aware of the project with Dominion Rice Integrated Farm Ltd. He provided a historical background of the UBRBDA in Gassol and gave an overview of the technical support and capacity building that the Authority provides farmers. He said that the UBRBDA has yet to see any tangible benefits to farmers from the Dominion Farms project. Mr. Abdulahi explained that in his view the MOU with Dominion Farms was flawed because the Ministry of Water Resources, which oversees the UBRBDA, was not involved. He said that the land in question is part of the 38,000ha of land ceded to UBRBDA in 1978 and it has spent huge government resources to develop the lands and support the local farmers through such things as technical assistance and the construction of roads, a field office, a water treatment plant, a workshop, a warehouse, and an electricity generating plant. ERA and CEED also visited the State Ministry of Agriculture and Natural Resources. As the Honourable Commissioner and the Permanent Secretary were not available during two attempted visits to the Ministry, ERA and CEED met instead with the Technical Officer in-charge of the Dominion Farms project, Alhaji Musa Umar, who is also a Senior Director in the Ministry. Mr. Umar maintained that the project will help Taraba State reduce rice importation and enable it to export to neighbouring countries. He cited the case of Dominion Farms’ activities in Kenya, where Dominion Farms was able to produce rice for export using only 7,000ha. Mr. Umar stated clearly that Dominion Farms has received a Certificate of Occupancy and has started operations in Gassol community. He said that the State has the potential to give out two million hectares but it only gave 30,000ha. Mr. Umar also noted that all necessary arrangements have been made by the state to pay the host communities compensation. He says the State Bureau for Land and Survey has done the necessary evaluation and has come out with a survey plan and submitted a report to the state government for consideration. He said that the amount contained in the evaluation report is huge and the state has thus resolved to pay the compensation to the communities in instalments. Mr. Umar also said that the state is making arrangements to construct major roads in Gassol as provided for in the MOU. Arrangements have been made for farmers to work with Dominion Farms so that they will be able to gather enough seeds to feed their families. He said that his Ministry’s main concern was that Dominion Farms would be able to carry out its work so as to boost rice and fish production to make Taraba a rice exporting state. He maintains that the local farmers will be part of the farming process as the Dominion Farms project proceeds. On June 10-11, 2014, ERA and CEED held two major meetings at Gassol community with local farmers and farmer association leaders. The Gassol community people were very happy with the visit and wanted to share information about their current predicament and the pains which they said they are facing as a result of the entrance of Dominion Farms into their community. Below are some quotes from local farmers speaking during the meetings. “We were happy when we heard of the coming of the Dominion Farms not knowing it was for the selfish interest of some few members of the State, Federal Government and the foreigner in charge of the Dominion Farms. Our land is very rich and good. We produce a lot of different crops here like rice, beans, Guinea corn, cassava, soya beans, millet, yam as well as fish farming and the rearing of animals like goats, sheep and cattle. But since Dominion Farms people arrived with their machine and some of their working equipment we were asked to stop our farm work and even leave our lands as the land is completely given to the Dominion Farms project. Some of the farmers owned private tractors which they used for their farm work, apart from the Upper River Basic assets, that are still in place”. The Dominion Farms project in Taraba is a clear example of how land grabbing robs people of their access to land and water and undermines their livelihoods and food security. The farmers of the Gassol community have been placed in a very difficult position. They are being forced off their lands and cut off from the water that they depend upon for their livelihoods and to feed their families. Despite the pressure from the various levels of government and the company, the farmers ERA and CEED spoke with say they will not give up their lands to Dominion Farms. They say they will resort to legal actions and peaceful protests and demonstrations to try and stop the project from going ahead. The needs of the community must be prioritised over the profits of Dominion Farms. The lands must remain in the hands of the local farmers who have worked the lands to supply the people of Taraba State with food for generations. 1 Environmental Rights Action (ERA)/FoEN has been working for more than twenty years against forced evictions of rural communities from their agricultural lands, pastures, forests and fishing grounds. In these two decades, ERA/FOEN and partners such as CEED have witnessed an increasing marginalisation of peasant farming and pastoralism due to international and national policies. These communities are now faced with losses of lands to an extent reminiscent of colonial times. 2 GRAIN, “Harvest of hardship: Yala Swamp land grab destroys Kenyan farmers’ livelihoods“, 23 October 2014.